The senior dancers of Kalajyoti , Rajpur, 24 Parganas South, have widely performed all over India with their Guru and individually. They have received several awards and scholarships from Government and private organizations in Festivals. Kalajyoti spread out its wings to different parts of the world. 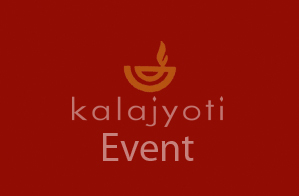 Kalajyoti NOIDA - Senior Disciple Arunima Ghosh and an Odissi exponent and Teacher–successfully established Kalajyoti Noida Chapter in January 2013, where already 45 children, Youth and Adults are being trained under the close supervision and guidance of Smt. Monalisa Ghosh as a visiting Guru. 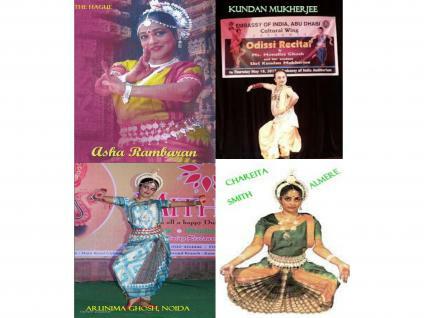 Senior Disciple , and exponent of Odissi Dance and Kathak - Kundan Mukherjee established the only Odissi Dance Akademi in ABU DHABI , UAE , Rasa Manjari as a branch of the Main Institution Kalajyoti.The institution has around 60 students in Odissi and Kathak. Regularly and meticulously trained by Kundan Mukherjee – and intensive workshop and advance training conducted by Monalisa Ghosh as visiting lecturer. Nritya Vikash School of Odissi Dance was established in The Hague, Netherlands, by her senior disciple Asha Rambaran, affiliated to Kalajyoti, where talented and dedicated students and performers emerge every year with authentic regular training provided by Asha Rambaran and intensive workshop provided by Monalisa Ghosh. The First Mancha Pravesh of Odissi Dance was introduced here under the guidance of Guru Monalisa Ghosh with live music from Orissa , at The Hague in 2004 with students of Nritya Vikash School of Odissi Dance The Hague, affiliated to Kalajyoti. Intensive yearly Odissi Workshop in Vienna conducted by Guru Monalisa Ghosh since 1996. Intensive workshop at Munich by Odissi Guru of Kalajyoti Monalisa Ghosh. Intensive workshop conducted by Guru Monalisa Ghosh at Brussels, Luebeck, Verona, Los Angeles, Tajikistan, Dhaka,London, Birmingham,and many other cities all around the world. Branches of Kalajyoti all over the world follows the same teaching and examination curriculum as the Prime Institution in Rajpur , South 24 Parganas.